Every child in my elementary school, including myself, knew how to imitate Arnold Horshack to get the teacher's attention. Actor Ron Palillo passed away two weeks ago and I'd like to honor his legacy by recalling one of his contributions to popular culture. 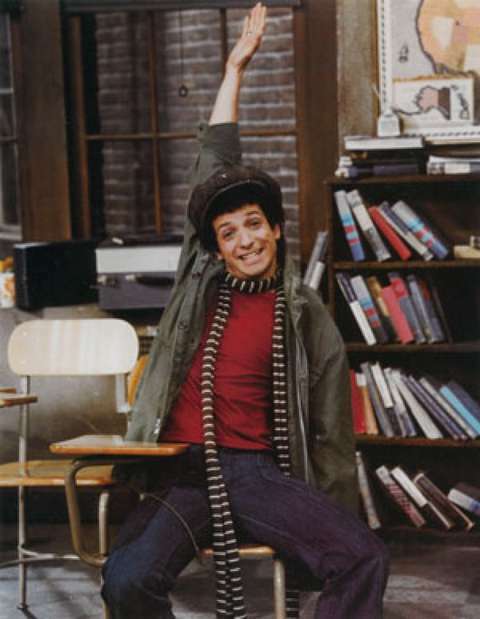 I remember Palillo best for his role as Arnold Horshack on the TV sitcom Welcome Back, Kotter. Do you remember watching the 1977 holiday episode "A Sweathog Christmas Special?" Did you know the theme song to this series was written and sung by John Sebastian--the same guy that founded the 1960s Rock n' Roll Hall of Fame group The Lovin' Spoonful? In this third season episode, it is the evening of Christmas Eve and the Sweathogs drop by their favorite teacher’s home to reminisce about their experiences and lives together. 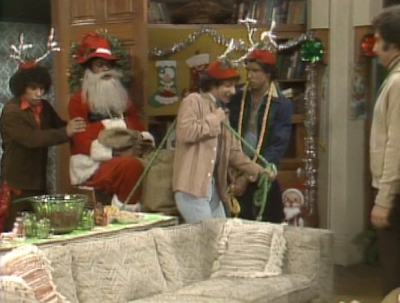 The Sweathogs, costumed as reindeer and Santa, arrive on the doorstep of Mr. Kotter on Christmas Eve. This is a clip show that features the unforgettable catch-phrases, and some of the best jokes and scenes from several of the most popular moments from previous episodes. The flashback clips are intercut with original footage of the students and their teacher sharing their time together on Christmas Eve. The friends spend Christmas Eve together talking and reminiscing about their common experiences. Don't we all do this with our family and friends during the holidays? Though the clips are many and usually quite brief, I was able to identify three of the episodes from the short clips. 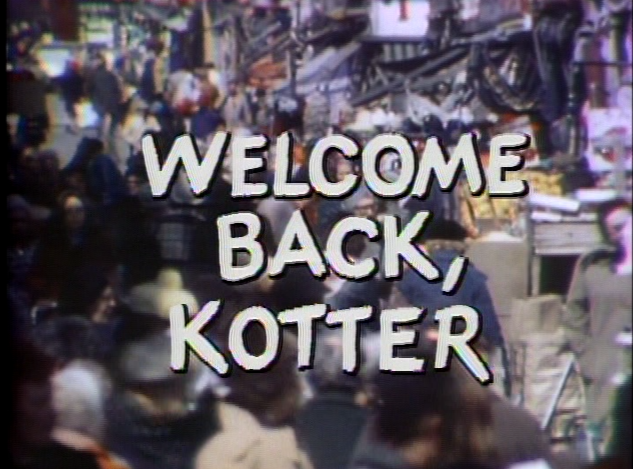 These include the first season's "The Sit-In" in which Kotter encourages his students to challenge the school's cafeteria by staging a sit-in protest. 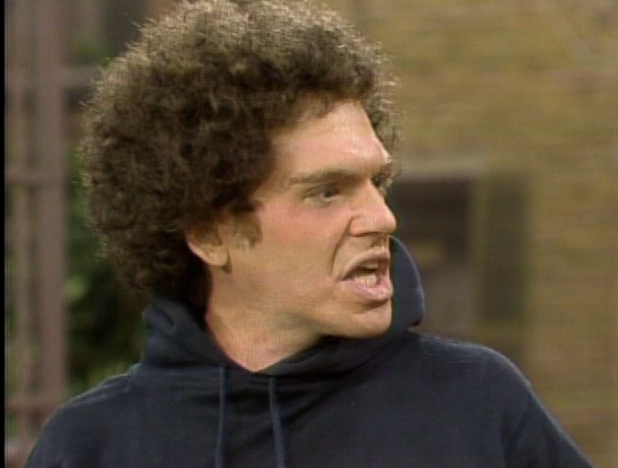 There are clips from another first season episode entitled "One of Our Sweathogs is Missing" in which Juan Epstein is defeated in a fist fight by a classmate and feels humiliated. Remember the bully Carvelli? He's played by Charles Fleischer--the cartoon voice of Roger Rabbit! He's not THAT intimidating. And, there are clips from the second season memorable episode "Horshack vs. Carvelli" in which Arnold stands up to a bully named Carvelli in the schoolyard and challenges him to a boxing match. 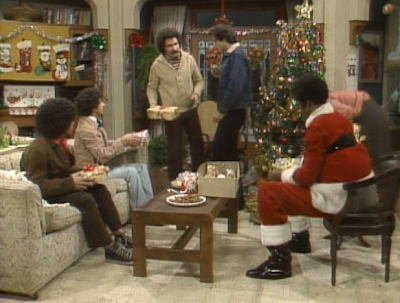 Near the end of this Christmas show, Vice Principal Woodman also dressed as Santa Claus comes to Mr. Kotter’s apartment to deliver his own holiday greetings. 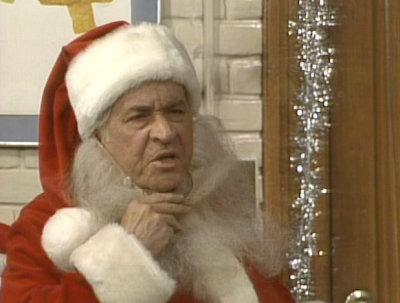 Mr. Woodman tells Barbarino: "Up your nose with some mistletoe!" Clips shows are not uncommon for Christmas episodes on TV. If asked to defend the clip show, I would argue that Christmas is that one special time of year that we often indulge ourselves in our memories, looking back to funny moments and the highlights of our year. So why not reflect this practice for our favorite TV characters? I think it is best accomplished when the clips are woven together with original footage--just as it's done in this Welcome Back, Kotter episode. Several other Christmas flashback clip shows include I Love Lucy, Diff'rent Strokes, In the Heat of the Night, Beverly Hills 90210, Friends and even 2011's Power Rangers Samurai. And, sketch comedy show Saturday Night Live has made an industry out of reconfiguring clips from past episodes into Christmas TV specials. Do you like clip shows? why or why not? (left) Robert Hegyes passed away in January 2012--and (right) Ron Palillo died in August. We will miss them. 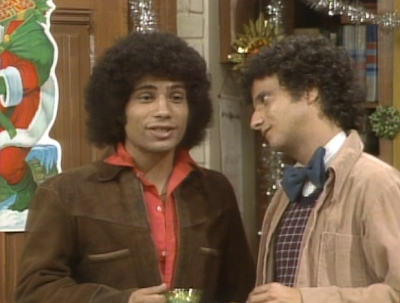 There are two more Christmas episodes of Welcome Back, Kotter but I felt like sharing this one today to remember actor Ron Palillo. It seems like a clip show, by virtue of its structure, encourages remembering the good times from years past--an appropriate sentiment with the passing of a TV friend.